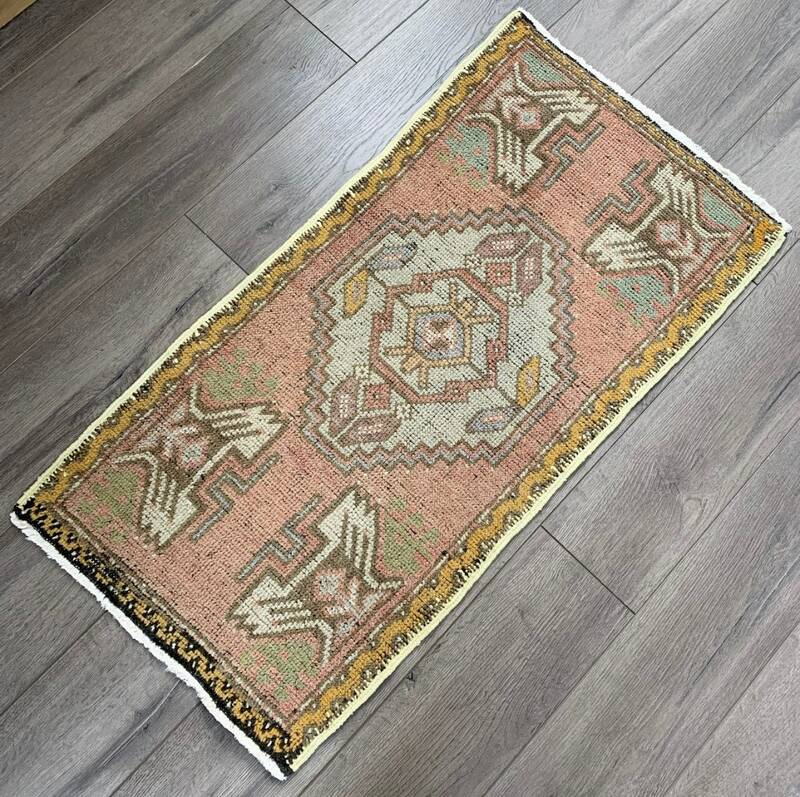 A sweet mini Oushak in pink, beige and pastels! 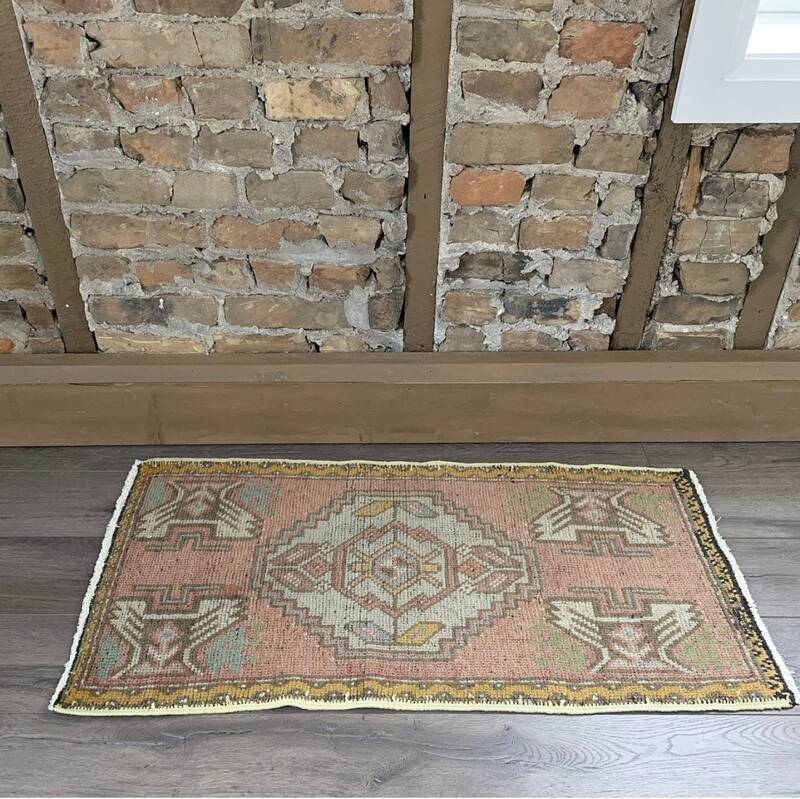 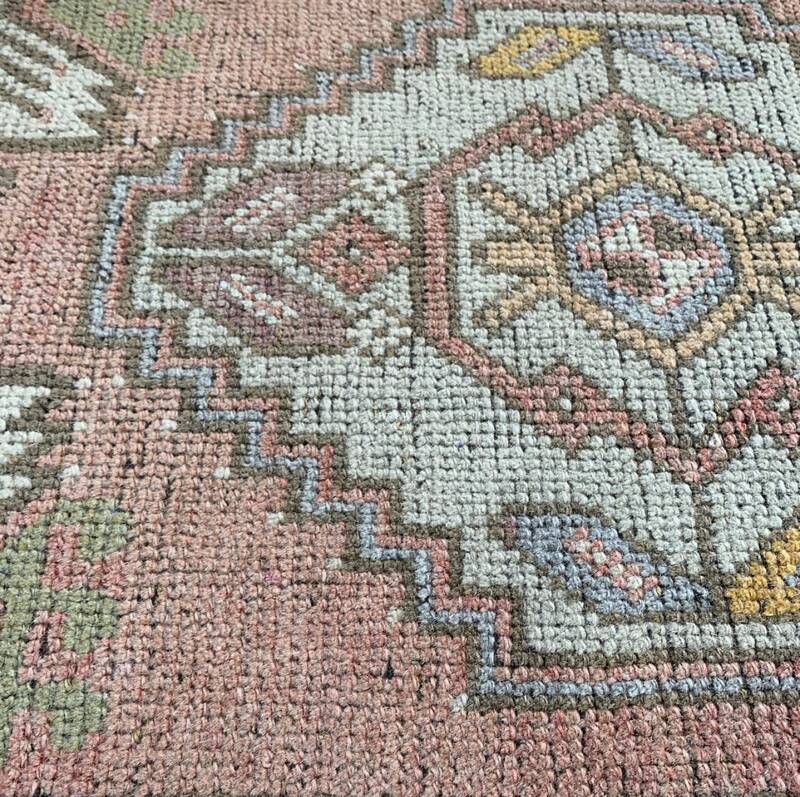 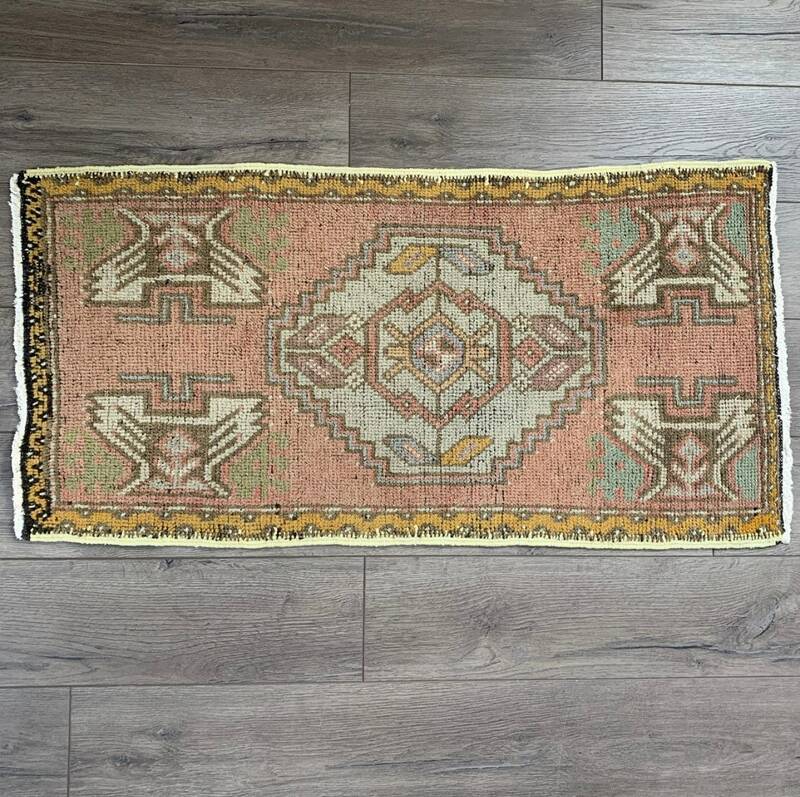 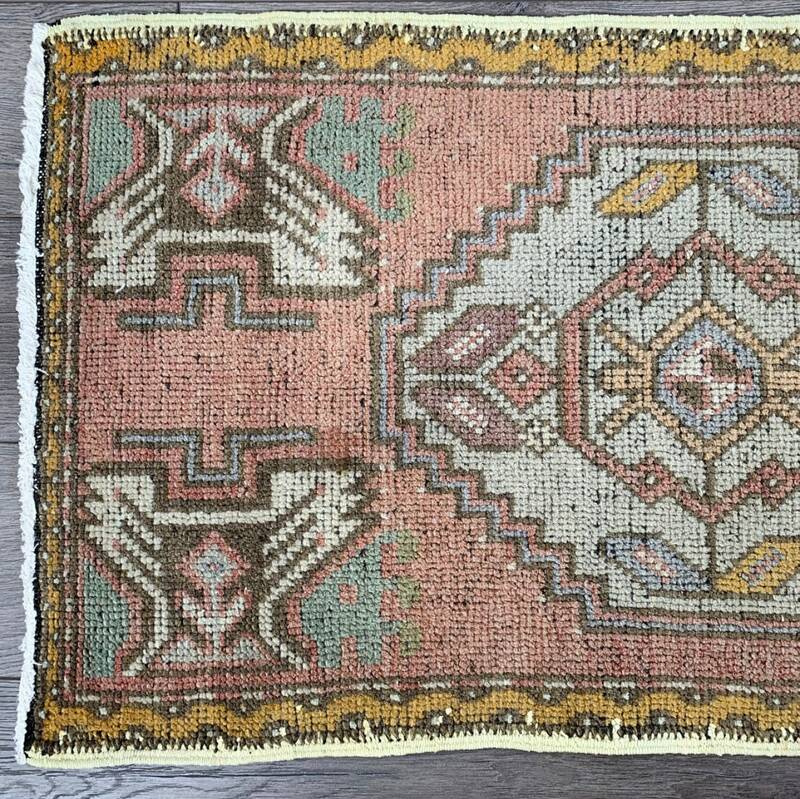 This mini Turkish Oushak was hand-knotted in the 1940s and is in good vintage condition with some wear. 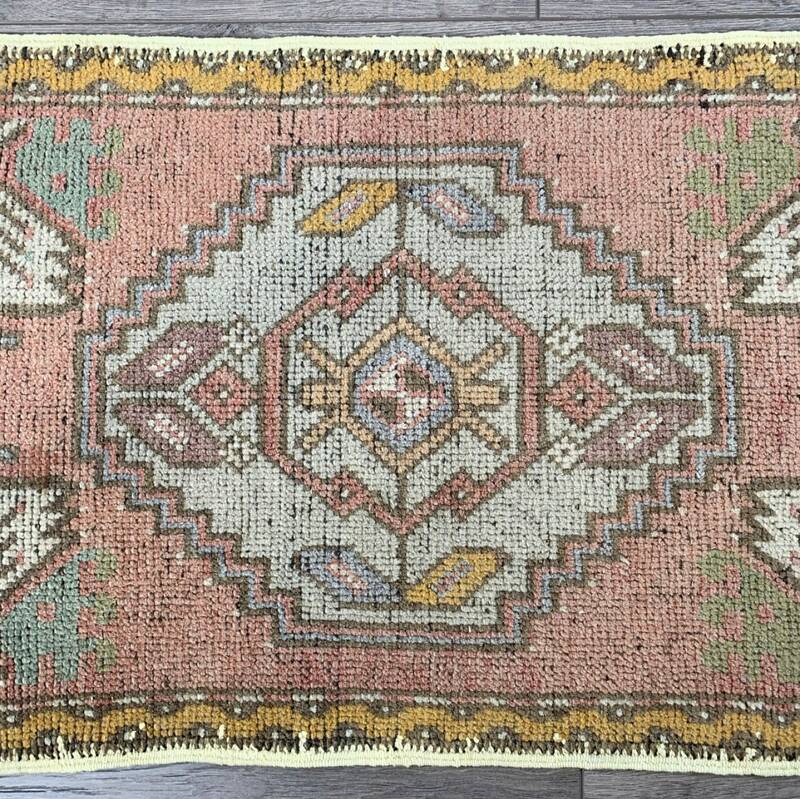 It also has the prettiest colours - that highly desired faded pink, paired with grey, mauve, pale blue and yellow pastel details.